Now there is new fun and inexpensive way to get started in Three Gun competition, the fastest-growing action shooting sport. NRA Sports Activities has developed the Three Gun Experience (3GE) program utilizing rimfire (.22LR) pistols and rifles, along with 12ga or 20ga shotguns. Targets, specifically designed for rimfire and shotgun, are placed at relatively close (but safe) distances. Most importantly, the NRA envisions that match organizers will provide firearms and ammunition at matches — so participants don’t have to purchase a brace of firearms just to try out the sport. 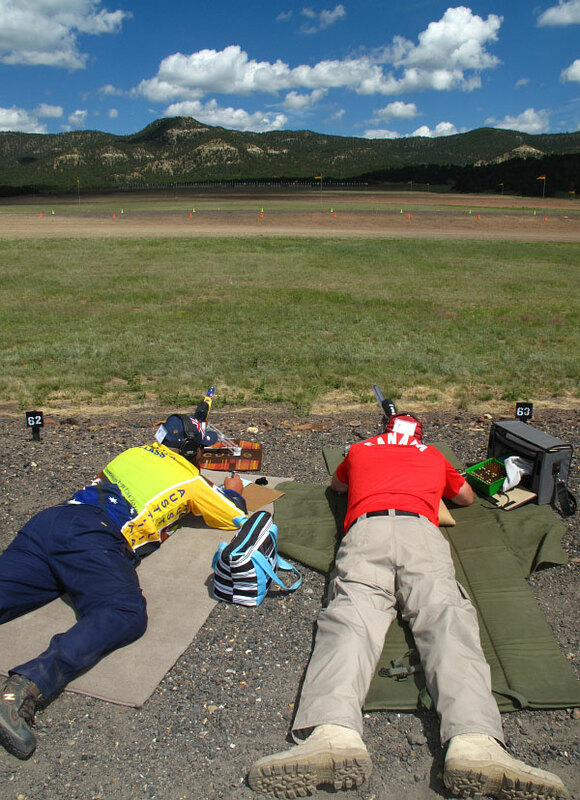 NRA 3 Gun .22 (3GE -.22) equips attendees with the same firearms and ammunition — creating a level playing field for fun and fast competition. 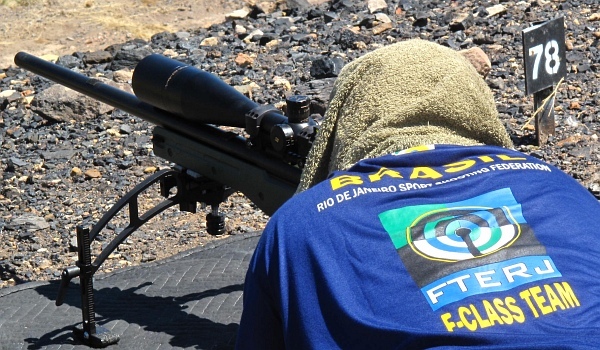 The new 3GE program is intended to help ranges reach new shooters and maximize the number of participants in any given day or weekend event. For questions regarding hosting a 3GE event please contact NRA Sports Recreational Shooting at 1-800-672-3888 or email nrasports@nrahq.org. 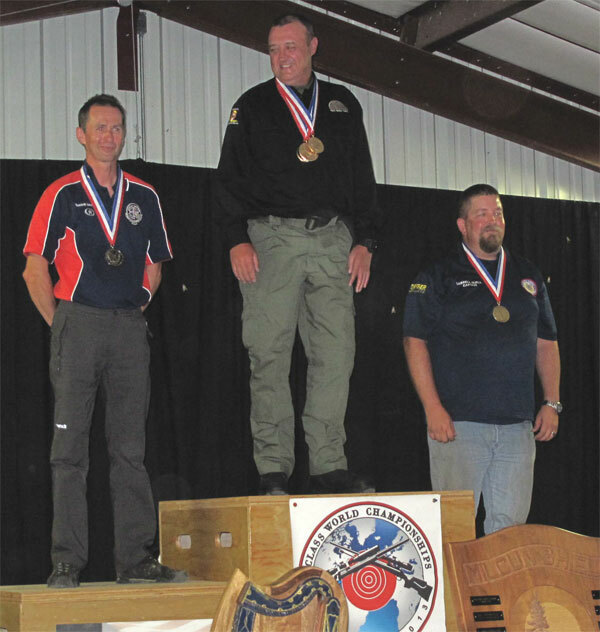 Share the post "New NRA Entry-Level Rimfire and Shotgun Three-Gun Program"
The 2013 F-Class World Championships are in the history books. Congratulations to Australia, winner of the 8-man F-Open Match (Farquharson Cup) and to the USA F-TR squad which captured both 8-person and 4-person F-TR team titles. Here’s a quick summary of the results (an in-depth report with more photos and videos is in the works). 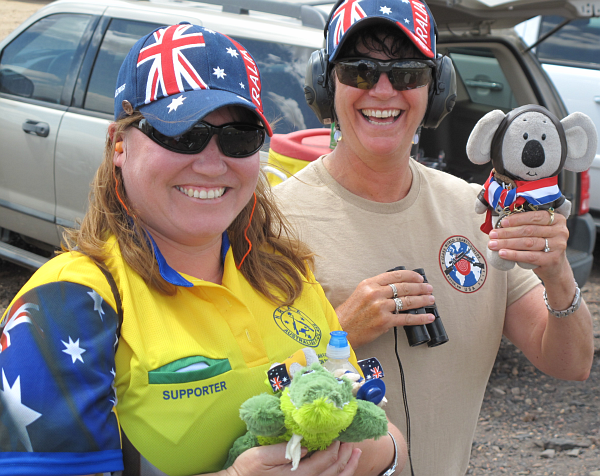 Not all Australia team members shown in photo. 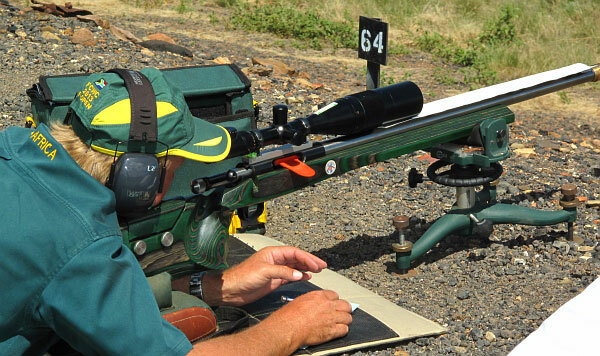 With his straight .284 Win, Marty Lobert shot 442-46V for Australia during the team championships, one of the highest scores among all F-Open shooters during Team Comps. 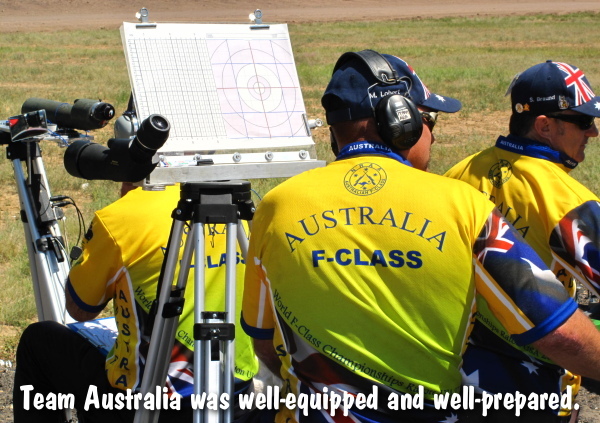 Marty’s Australian team-mate, Cameron McEwan, had a 443-40X, high score for the match. Congrats to Cameron — great shooting! Team Australia won the 8-man F-Open Championship with a 3490-339V tally. The USA 8-man F-Open team finished second with a 3475-308V team score. 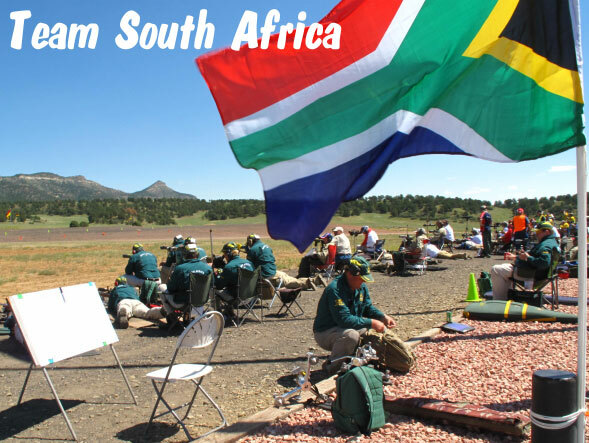 South Africa was third with 3445-267V, while the previous champion Great Britain Team finished fourth with 3427-261V. Team Spindle Shooters won the F-Open Rutland Cup for 4-man teams with a 1750-163V score, 10 points ahead of the 4-man Team USA squad coached by Emil Praslick (1740-169V). 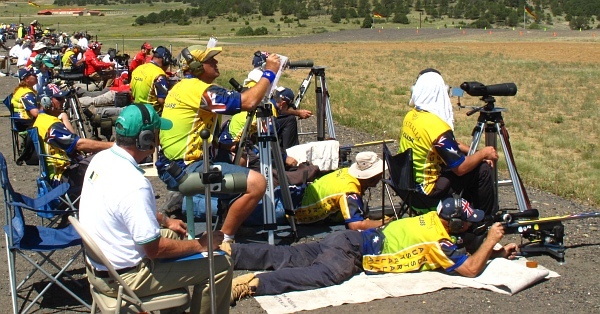 In the F-TR Division, F-TR Team USA won both the 8-person F-TR Richardson Trophy Match (3412-261V) and the 4-person F-TR Rutland Cup Match (1689-130V). 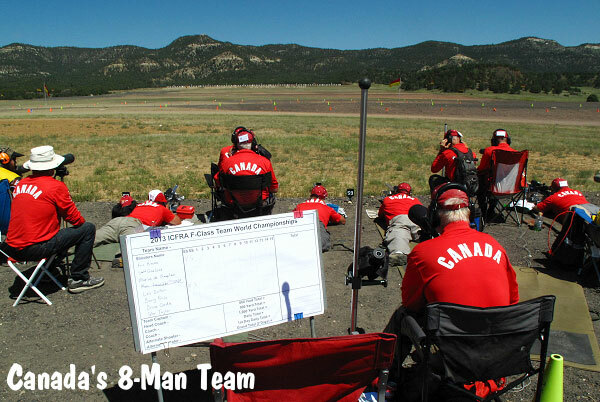 Canada’s 8-man F-TR team scored 3400-245V for second place in the 8-man F-TR competition, while Great Britain’s 8-man team tallied 3393-220V for third place. 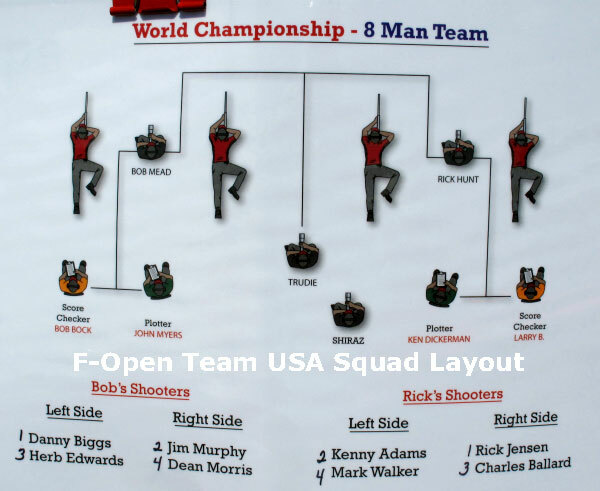 Notably, F-TR Team USA’s 8-man team score would have been good enough for fifth place in the F-Open Division. Yanks dominated the 4-man F-TR match, with Nik Taylor’s BNX/21st Century squad placing second (after F-TR Team USA), and the Michigan F-TR team (Barnhart/Litz) finishing third. Here are the published official results for the 2013 F-Class World Championships, for both the team and individual competitions. These links all point to PDF files. If you have the right browser plugin, you should be able to simply click and view. Otherwise, right-click the link and “save as” to your hard-drive before viewing. 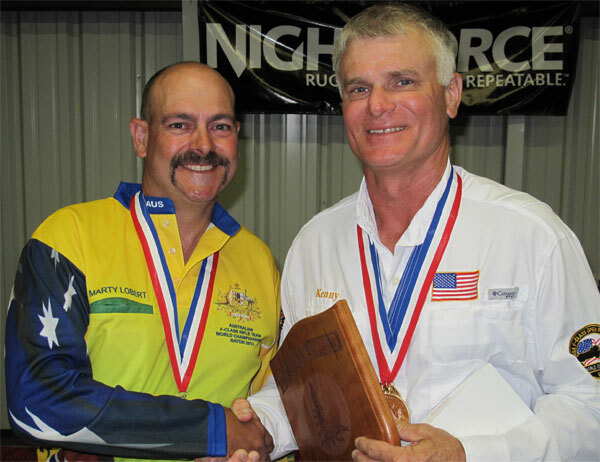 Share the post "F-Class World Championships: Team USA Wins F-TR Team Titles, Australia Wins F-Open Team Championship"
We all know that precision factory ammo, and all types of reloading components, are in short supply, with demand often out-stripping supply. Now RUAG Ammotec (RUAG), Europe’s leading producer of ammunition, will be stepping up production with the goal of expanding sales in the USA and worldwide. RUAG produces the elite RWS ammo/components and also markets RWS Sport, Geco, Swiss P, MFS, and Rottweil brand products. See the full product line at Ruag-usa.com. RUAG is a Swiss technology company, with its headquarters in Bern. It has production sites in Switzerland, Germany, Sweden, Hungary and Austria and USA, and sales companies in UK, France, Belgium, Brasil and Malaysia. Share the post "RUAG Ammotec Invests Millions to Expand Production"
Months ago, we reported on the new, .17 Winchester Super Magnum (Win Super Mag or WSM) rimfire cartridge. Able to drive a 20gr bullet over 3000 fps, this new .17 Win Super Mag raises the bar for rimfire cartridges. The .17 WSM shoots faster, flies flatter, and bucks the wind better than a .17 HMR. Sounds good right? Well the only problem is that .17 Win Super Mag cartridges (and a rifle that could shoot them) have been virtually impossible to obtain. In January, Savage unveiled its new B-Mag rifle chambered for the .17 Win Super Mag, but there were delays getting the gun into production. At last, after many months, the B-mag rifle is ready, and .17 Win Super Mag rimfire ammo is starting to hit dealer’s shelves. 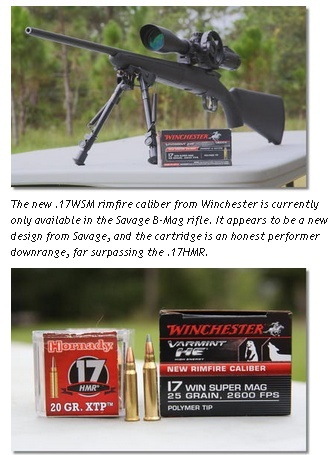 GunsAmerica managed to score some .17 WSM rimfire ammo, borrow a B-Mag rifle, and test the new cartridge at the range. 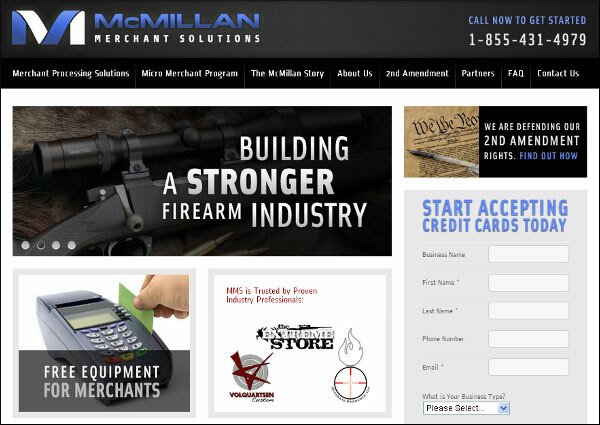 GunsAmerica has published its findings in a detailed review on the GunsAmerica Blog. “Savage sent us this test rifle over two months ago, but we had no ammo, so like everyone else, we waited. Finally, as you can see from these tests, the ammo has started to trickle out. Several of our dealers have reported that they have gotten 40 box orders in (and quickly out) the door, and this ammo you see here was purchased retail at Bass Pro in Hollywood, Florida. We were only able to get the 2600 fps 25 grain load, but it is still a rip-roaring monster for a rimfire, and the accuracy is acceptable, (though not fabulous for a Savage). The Savage “B-Mag” rifle is currently the only gun for the cartridge, and it carries an MSRP of $349.00. As a first effort on a new and revolutionary rimfire, the B-Mag performed well, and the cartridge looks to have great potential. Photos from GunsAmerica Blog, All Rights Reserved. Share the post "GunsAmerica Tests New .17 Win Super Magnum in Savage"
K&M Precision Shooting Products has two very handy products you may not know about yet. The first, a brilliantly simple device that lets you see your case necks as you expand them, can be used by anyone who necks-up brass (with a compatible expander die body). The second new product is a specialized “fat grip” holder that will make neck-turning easier for those of you out there who use K&M neck-turners. K&M’s rounded, oversized Ergo Holder lets you hold the K&M neck-turning body more securely (and with less hand cramping). Priced at $35.00, it is an expensive accessory, but we suspect many guys with K&M neck-turners will spring for an Ergo holder just because it gives you a more secure and comfortable grip on the small, square-edged K&M neck-turner. The folks at K&M told us that their new Ergo Holder was produced in response to customer requests: “[Customers reported that] the neck turner can be hard to hold due to its compact size, especially in high-volume use. The Ergo Holder is machined from aluminum, providing a fatigue-proof grasp of the neck turner. Its mass works like a heat sink to help dissipate heat from the pilot during the turning process. The neck-turner body easily assembles into the Ergo Holder and is held in place with one set screw. The Ergo holder is also designed with the dial indicator in mind and actually makes its use more convenient”. LINK: Ergo Holder Installation/Use Instructions (PDF). 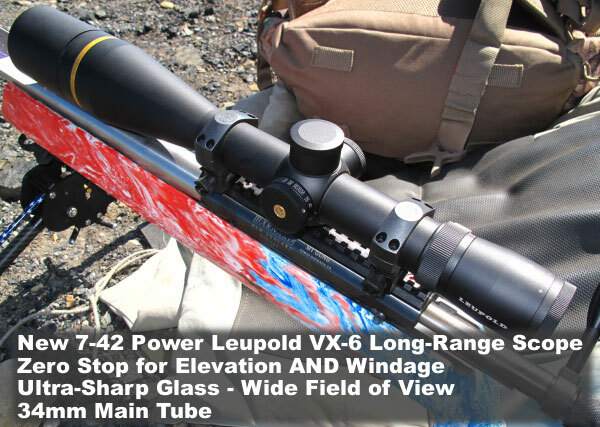 Share the post "K&M Ported Expander Mandrel Riser and Neck-Turner Grip"
Here’s a shocker — Leupold has built a 7-42X long range scope. This new scope has a 34mm tube, and target turrets with a zero stop for BOTH windage and elevation. That’s right, there’s a zero stop on the windage turret. Mike Miller explained that, while Leupold has used the terminology of “windage zero stop”, the feature is more an adjustable windage center. You can still go both ways (left and right) after setting the stop. However you have the ability to adjust the horizontal turret markings so the zero indicator on the windage dial is at true horizontal center — for your gun and barrel. That way you can dial to zero on the windage dial and know that your horizontal POI will be dead center for a no-wind condition. But you do have the ability to adjust both left and right. It is not an end-of-travel “zero stop” as that term is used for elevation turrets. The new 7-42X is not in production yet. 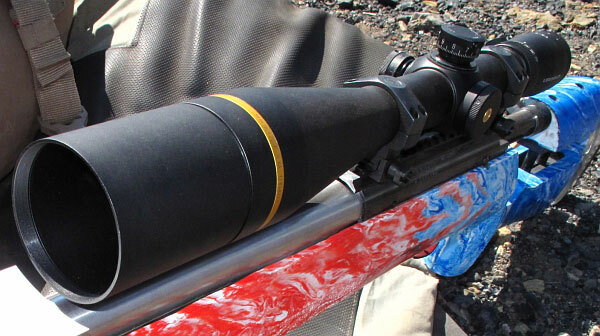 Mike reports: “Leupold has built just six (6) of these new scope and we’ll be testing a couple here at Raton.” We don’t know the exact weight of the new scope — Leupold has not provided detailed specifications. However, we couldn’t help but notice the big 34mm tube. Mike says there is over 50 MOA of elevation available. As for price — your guess is as good as ours. This is still a prototype, so we have no idea what the scope will cost, or when it will hit the market. But we can say that Leupold now has a scope to compete directly with the high-magnification scopes from March and Nightforce. 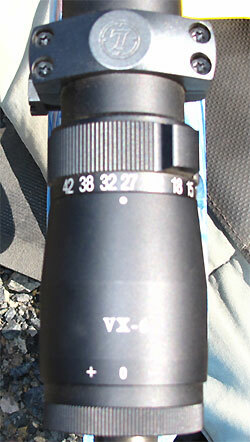 We presume that the new 7-42X Leupold will eventually sell for less than the Nightforce 15-55x52mm Competition scope. Stay tuned for more information. There’s a new Leupold VX-6 Long-Range Scope to compete with the Nightforce Benchrest and NXS Models. 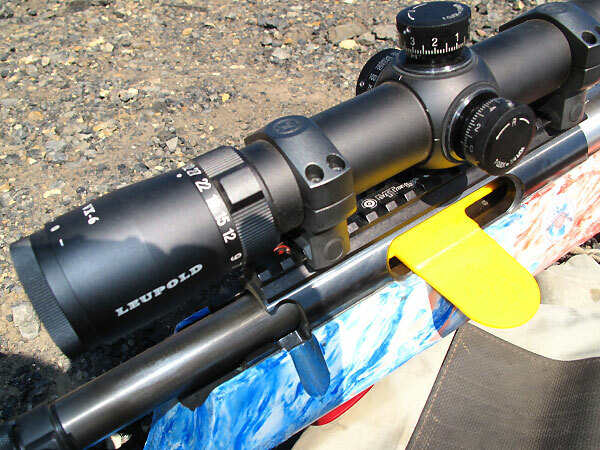 In a surprise unveiling, Leupold send a couple prototype 7-42X scopes to Raton. 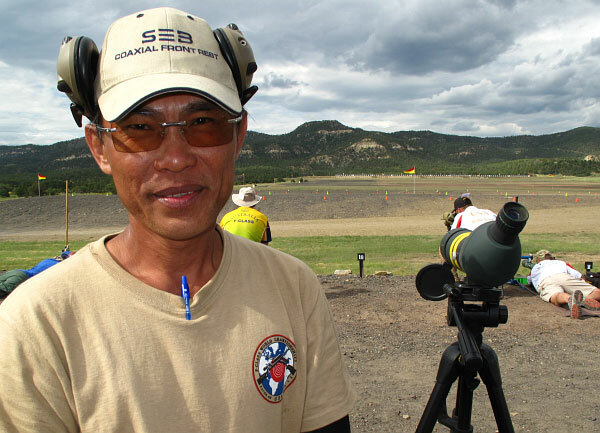 Share the post "Spy Photos: New 7-42X Leupold VX-6 Scope Revealed at Raton"
Congratulations to American shooters Kenny Adams (F-Open) and Nikolas Taylor (F-TR), newly crowned F-Class World Champions. The Individual half of the F-Class World Championships (FCWC) has concluded and Americans dominated the Top Ten Standings in both classes (see Agg Charts below). 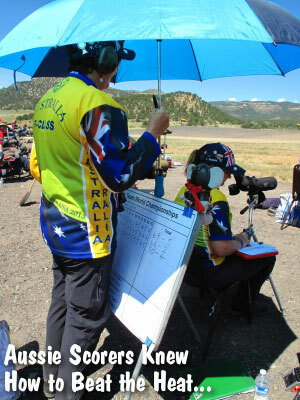 Conditions were very difficult on both days of the competition, which included a thunderstorm on Day One. 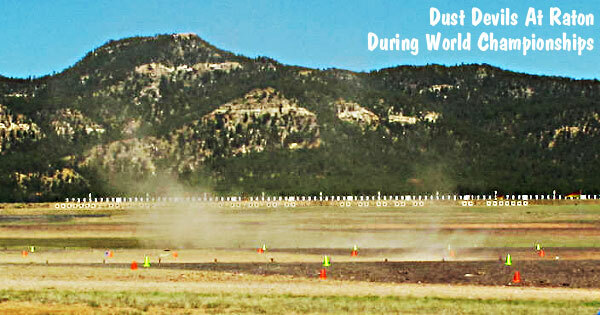 On Day Two, winds were switchy with velocities that seemed to change by the minute. The men and women who performed well in these conditions certainly deserved their trophies. In F-TR Class, Nikolas Taylor (450-33V) edged the UK’s Russell Simmonds (449-31V) by one point. Simmonds, a past F-TR world champion, shot great on Sunday, picking up five points on Taylor, but that left Russell just one point short. Taylor had built a six-point margin over Simmonds on Day One, and that was enough to secure the victory. 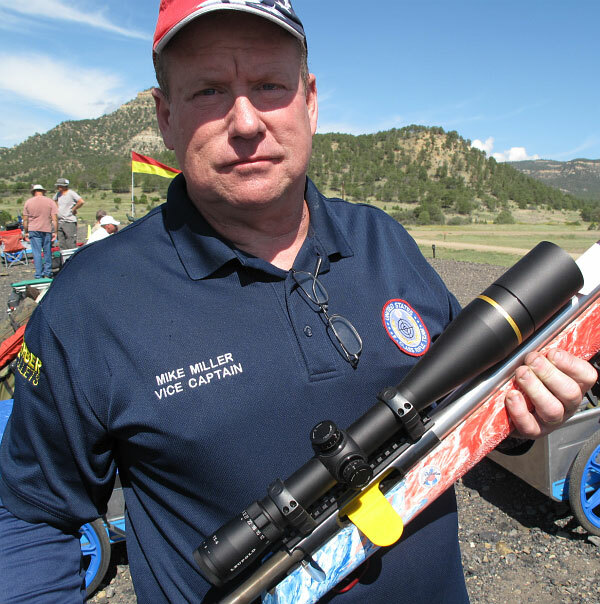 F-TR Team USA shooter Darrell Buell finished third with a 445-29V score. 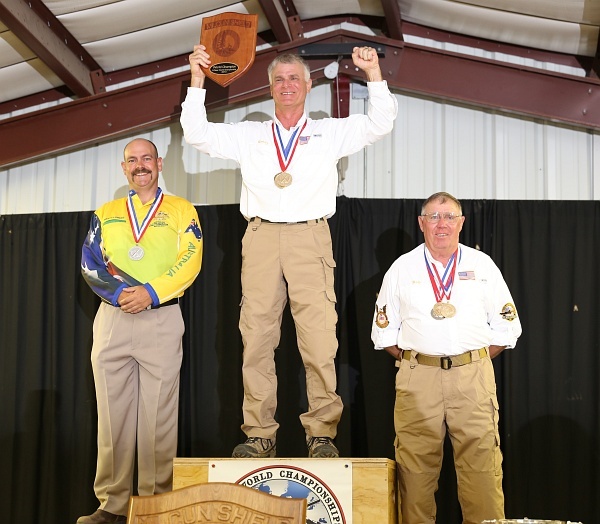 Share the post "Americans Adams and Taylor Crowned F-Class World Champions"
Guns & Gear TV Reviews Varmageddon Ammo This Week. Guns & Gear TV, now in its fifth season, showcases new gun products every week. Each episode delivers in-studio interviews, field and range demonstrations, and tips from top shooting instructors. Guns & Gear TV airs on Pursuit Channel on Mondays at 8:30 a.m. ET, Wednesdays at 2:30 p.m. Eastern, Fridays at 10:30 p.m. ET and Sundays at 1:30 a.m. ET. 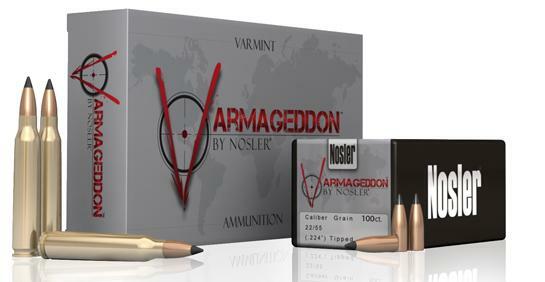 Share the post "Guns & Gear TV Reviews Varmageddon Ammo This Week." 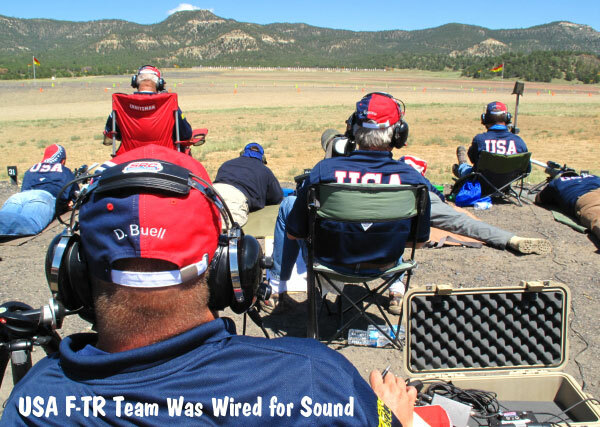 There’s a new score game in town — it’s called Ultimate Benchrest (UBR). 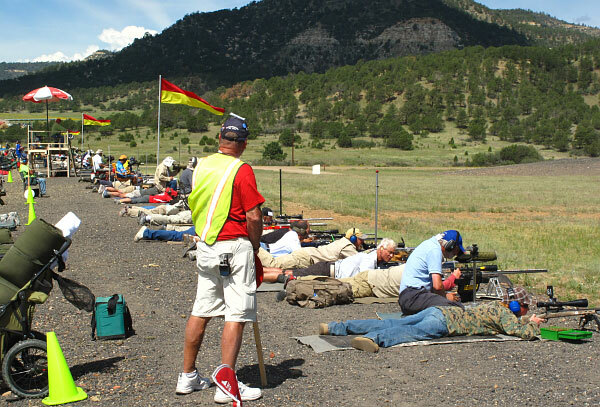 You don’t have to purchase a membership to compete, and the rules are designed to equalize calibers, so you can shoot a .223, a 6mm (.243), or a .30 caliber benchrest gun — all with an equal chance to win. There’s a special class for factory guns, so you can have fun with Savages, Coopers, Kimbers, and Remingtons. The next step up is the Modified Class — this is for factory guns that have been re-barreled or had the action moved to a flat-bottom, Benchrest-style stock. 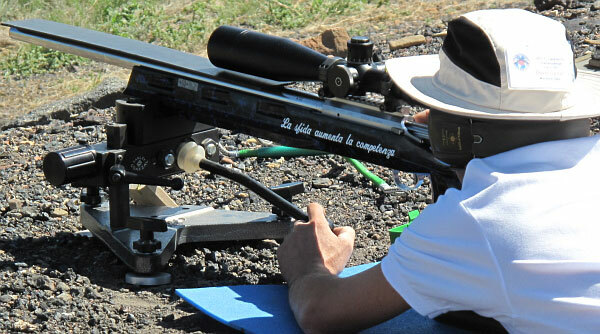 The Custom Class is for guns with custom actions, benchrest stocks, and premium barrels. Max weight is 13.5 lbs for Factory, Modified, and Custom Class rifles. Any rig over 13.5 lbs competes in the Unlimited Class. Here pretty much anything goes, including one-piece rests. 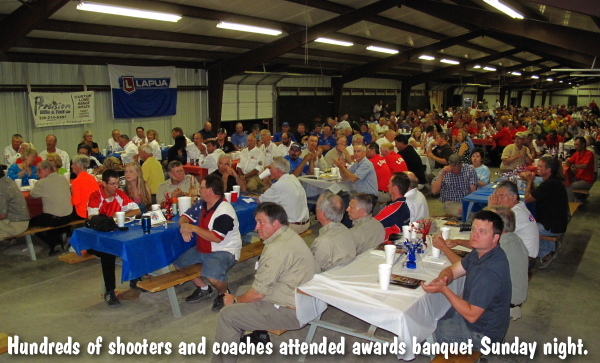 Next month, the Ultimate Benchrest Nationals will be held September 27-28 at the Buck Creek Range in Kentucky. There’s no limit on shooters and all classes can compete. This two-day event features 100-yard matches on the 27th, with 200-yard competition on the 28th. Many prizes will be awarded, including products from 21st Century Shooting, Benchmark Barrels, Berger Bullets, Cooper Firearms, Krieger Barrels, PMA Tools, Shilen Rifles, and Sinclair/Brownells. If you’re in the area, you should check it out. There’s a class for everyone, and hot food (and cold drinks) will be provided. For more info, visit UltimateBenchrest.com or email George Coleman, georgeky [at] live.com. To register for the UBR Nationals, call jackie stogsdill at 606-382-5152 or send email to: jackie_stogsdill [at] hotmail.com . 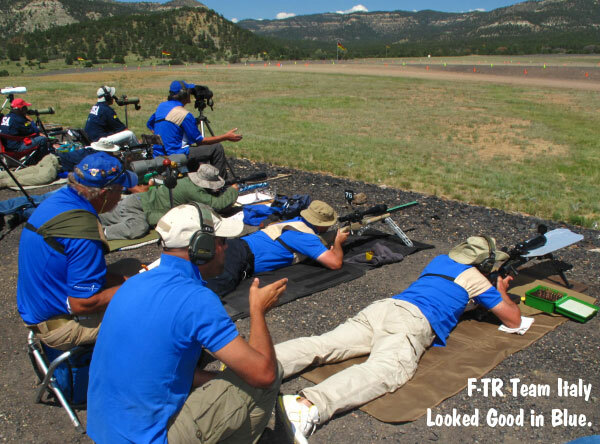 Share the post "Ultimate Benchrest Nationals In Kentucky September 27-28"
The F-Class World Championships are now underway at Raton, New Mexico. 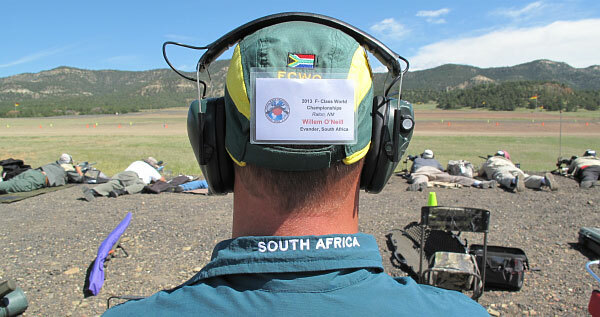 The turn-out is impressive — 17 different countries are represented by roughly 425 shooters. There will be two (2) days of individual competition, followed by the “Battle of the Nations” — the two-day team competition. It is warm and clear today, with a slight chance of a late thunderstorm. The weather gurus are predicting sunny skies for the remainder of the event, with peak temps in the high 80s and 10-20 mph winds. LINK to Detailed Raton Weather Report. The F-Class World Championships commenced with opening ceremonies this Saturday morning. At right, Dan Pohlabel and Mike Miller are shown raising the US flag during opening ceremonies. Let the competition begin! 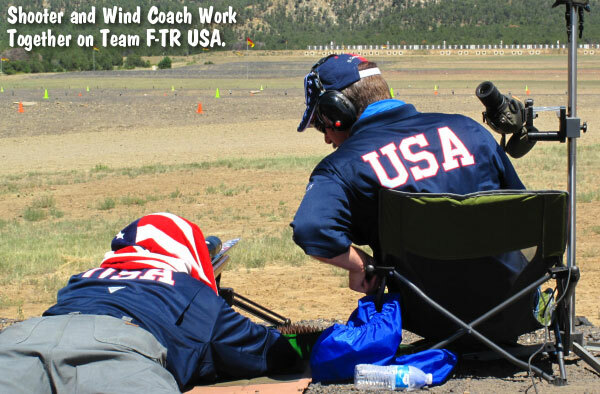 Photos courtesy U.S. F-Class Rifle Team (F-TR). 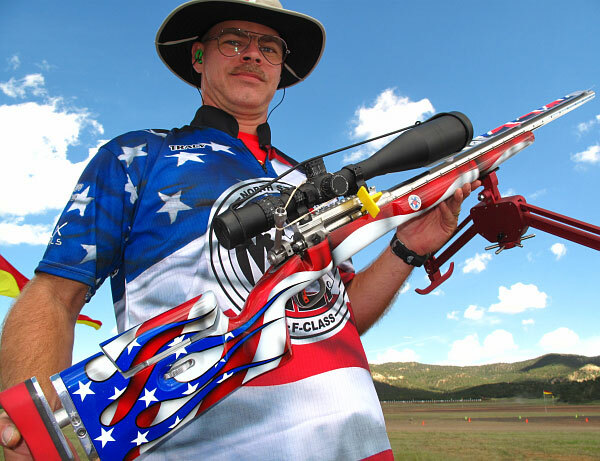 Share the post "F-Class World Championships Kick Off in Raton"
Share the post "How to Make an Inexpensive, Portable PVC (or ABS) Target Stand"
Browning is jumping into the “value-priced” rifle market. Browning has introduced a new bolt-action rifle, the AB3 (A-Bolt III) which will compete price-wise with Ruger, Savage, and Howa rifles. The AB3’s $599.99 sticker price is notable, because Browning’s regular X-Bolt and A-Bolt rifles cost hundreds of dollars more. Despite the low price, the new-for-2013 AB3 has some nice features. The button-rifled barrels are all “individually finished with a hand-reamed chamber for tighter tolerances and more precise headspace.” The trigger has a 3.5-lb pull — just about right for a hunting gun. A clever bolt-unlock button lets you unload the gun even with the safety engaged. Designed as a durable, affordable hunting rifle, the AB3 Composite Stalker model comes in four popular hunting chamberings: 270 Win, 7mm Rem Mag, .30-06 Springfield, and 300 Win Mag. Share the post "Browning Introduces Value-Priced AB3 (A-Bolt III) Hunting Rifle"